Get a sense of the local culture at Stanley, Hong Kong and Flagstaff House Museum of Tea Ware. Head to Ladies Market and IFC mallfor plenty of shopping. Explore Hong Kong's surroundings by going to Macau (Black Sand Beach & Ruins of St. Paul's). Pack the 10th (Tue) with family-friendly diversions at Hong Kong Disneyland. The adventure continues: explore the activities along Repulse Bay, step off the mainland to explore Lantau Island, contemplate the long history of Tian Tan Buddha (Big Buddha), and enjoy the sand and surf at Shek O. For ratings, more things to do, and tourist information, you can read our Hong Kong custom trip planner. If you are flying in from Hong Kong, the closest major airports are Hong Kong International, Shenzhen Bao'an International Airport and Guangzhou Baiyun International Airport. 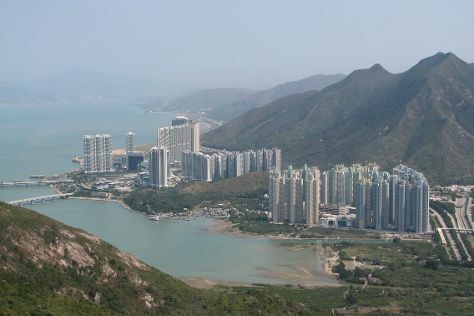 In January, daily temperatures in Hong Kong can reach 21°C, while at night they dip to 15°C. Finish up your sightseeing early on the 12th (Thu) so you can travel back home.